After we moved into our new house in March, we fell in love with the outdoors. Years of small spaces and city living left our outdoor need wanting. 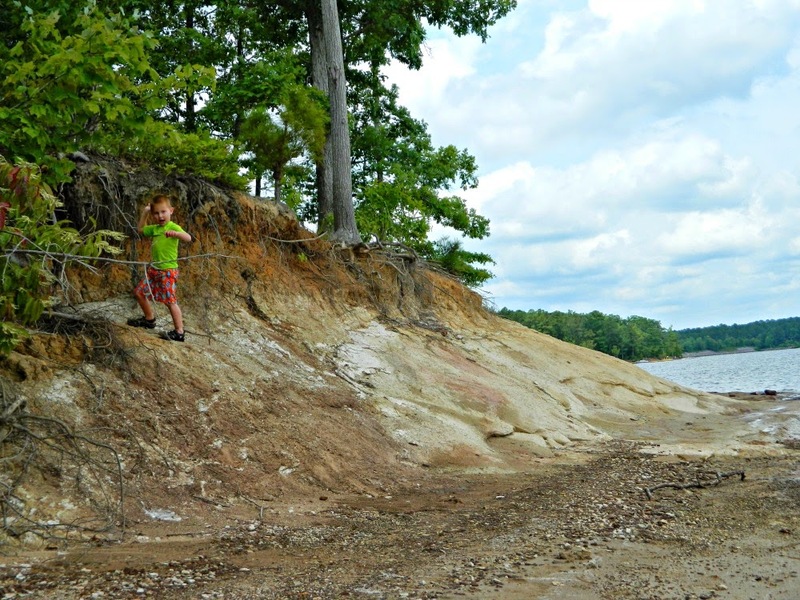 Our children LOVE outdoor exploration. We take advantage of any long weekend to spend time with our family outdoors. 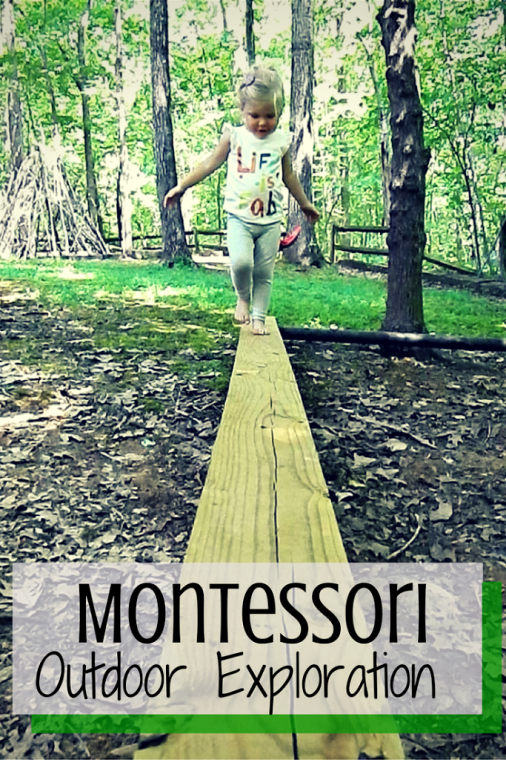 I want to share with you some ways we explore our Montessori outdoor space this summer! 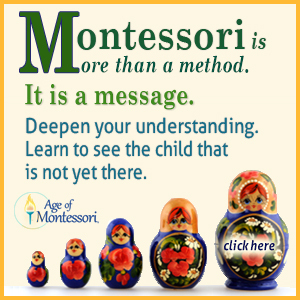 Dr. Montessori was ahead of her time in so many ways to include allowing children to do their own exploration. I love the example she set for us and have seen my children flourish because of uninterrupted outdoor exploration. Words cannot always explain the joy in a child’s heart when they explore some new part of the outside world. 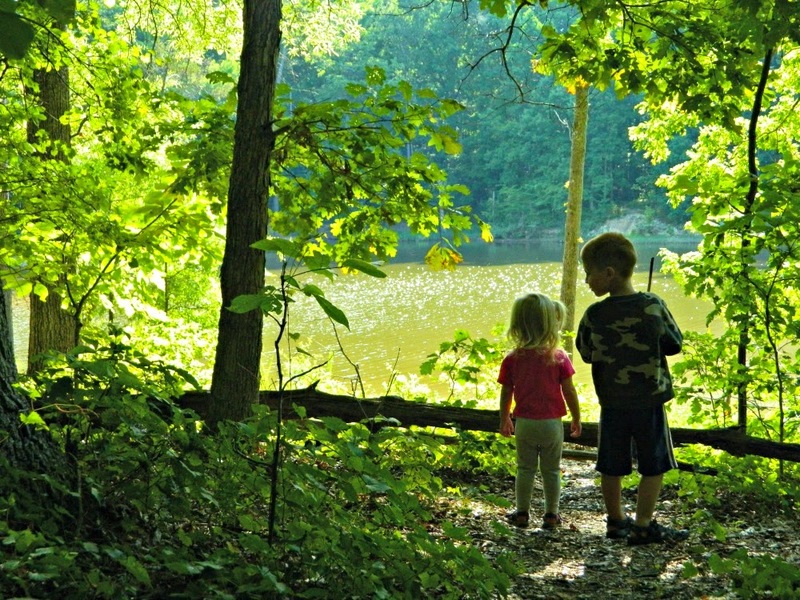 I hope you will find some inspiration in my children’s eyes and carve out time for outdoor exploration for your child today! “Our earth is filled with wonderful sounds, scents, textures, tastes, and colors. 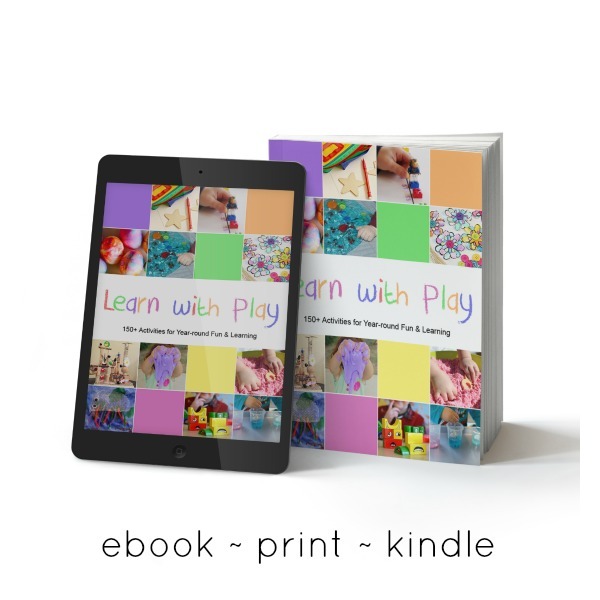 Children are naturally curious, and love to use their senses to learn more about the fascinating world around them.” From Montessori For Everyone. 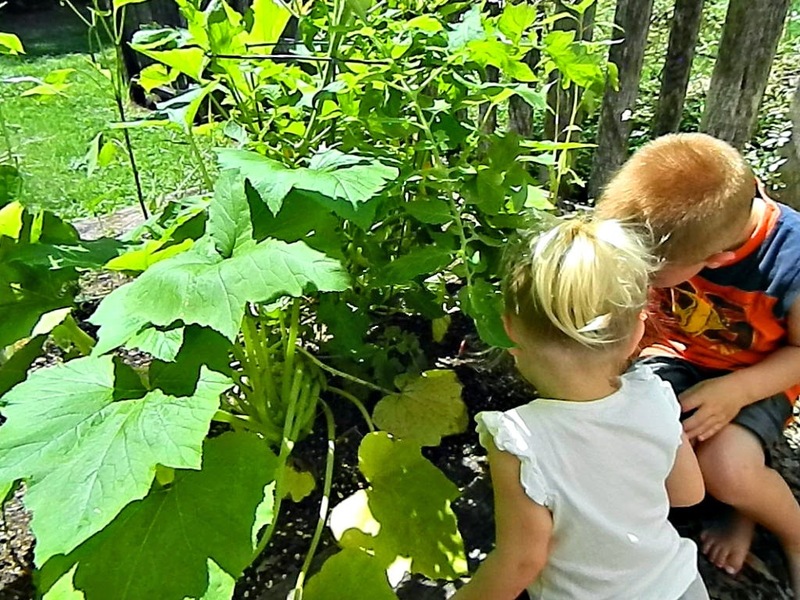 Kids in the garden has a special place for my heart. I have a black thumb, but am determined they will not the the same. Catch and release fish exploration at a local lake. 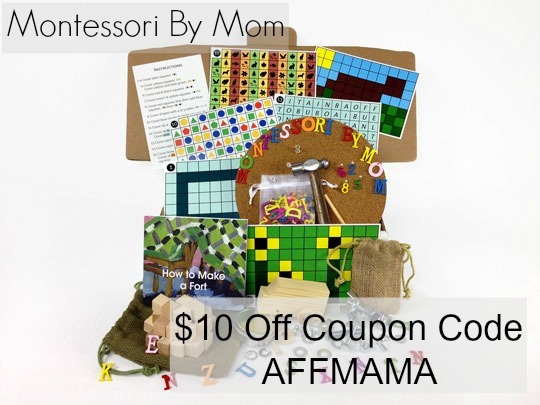 “Maria Montessori gave children the greatest gift- she gave them the universe! She felt that no creature in our vast universe was to small to explore. Nor was dirt something to be discarded. 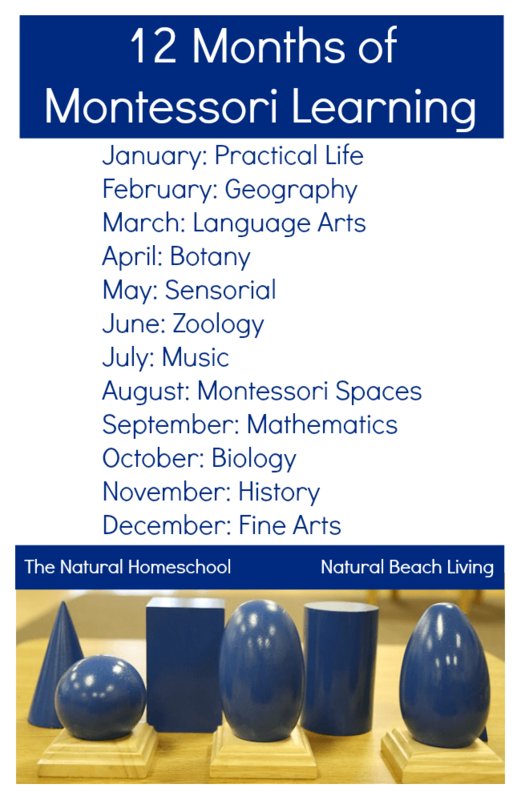 She encouraged free exploration of the natural world to entice the senses and encourage learning.” From NAMC Montessori Teacher Training. 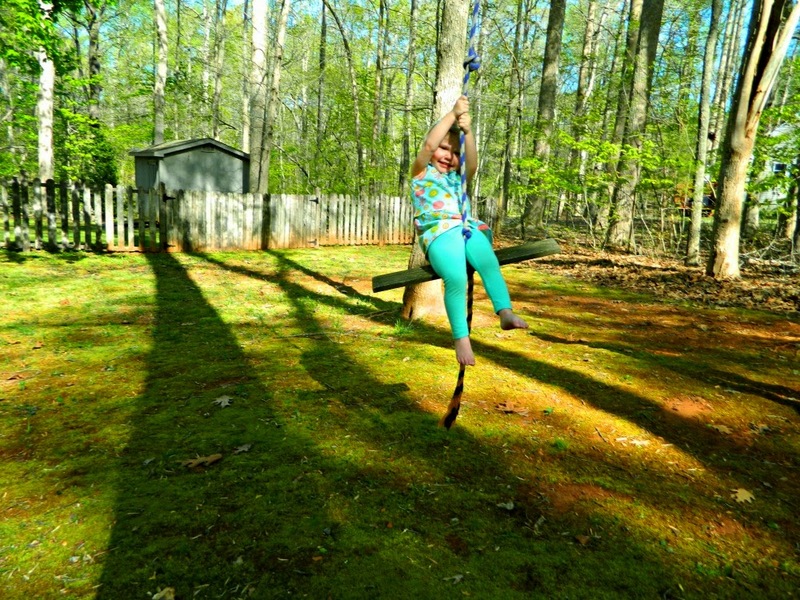 Our rope swing gets a daily visit. The happiness in their faces never fades! Hiking trails are perfect exploration tools. 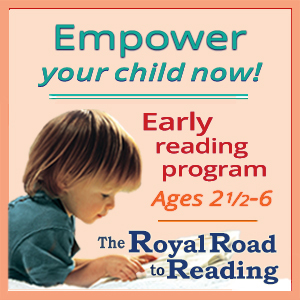 They don’t have to be long or involved. Even just a walk in your back yard will do! Exploration doesn’t have to be extravagant. Most of ours is done in our yard. We have lived in apartment complexes before and understand the struggles for families there to get into the outdoors. Many apartment that are made with kids in mind have some sort of playground. That’s a perfect place to start. Not just the equipment in the playground, but the grass that grows around the fence, the weight of the rocks on the walk to the playground, or the color of the sky during your visit. If you are observing these things, your child will be observing them too. Take time to talk with them about what you see and bring to their attention the inch worm on a low leaf or the bird sitting on a branch. The city is no different than an apartment. Weeds have flowers that grow in sidewalk cracks. Birds peck for food along walkways. The sky is always above you! 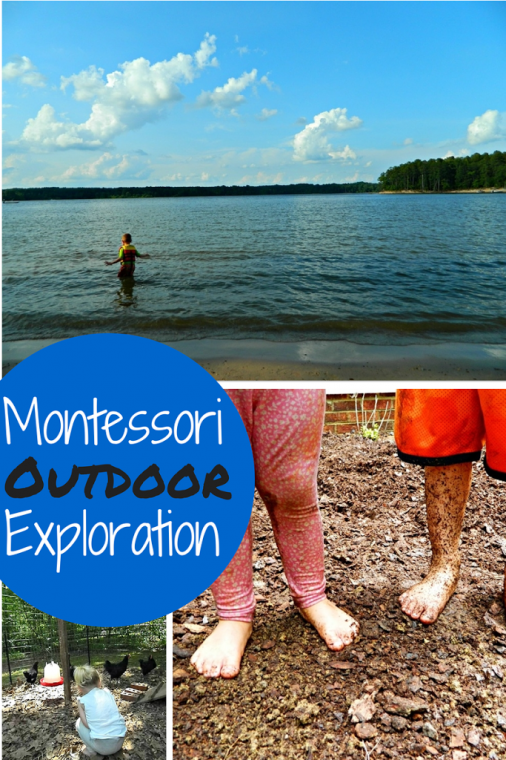 All of these are outdoor exploration topics to help your child observe. Even on rainy days we bring the outdoor exploration in your home! Bring the outside in. Home gardens. Clipping from outdoors. Window observations. All of these give the child the ability to enhance his smell, peak his interest in texture or allow him to see something new from a window. 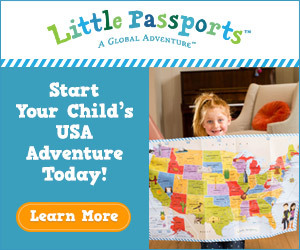 Creating a world of exploration in your back yard is easy too. In the picture above we have some unused boards on the ground to make a balance beam. 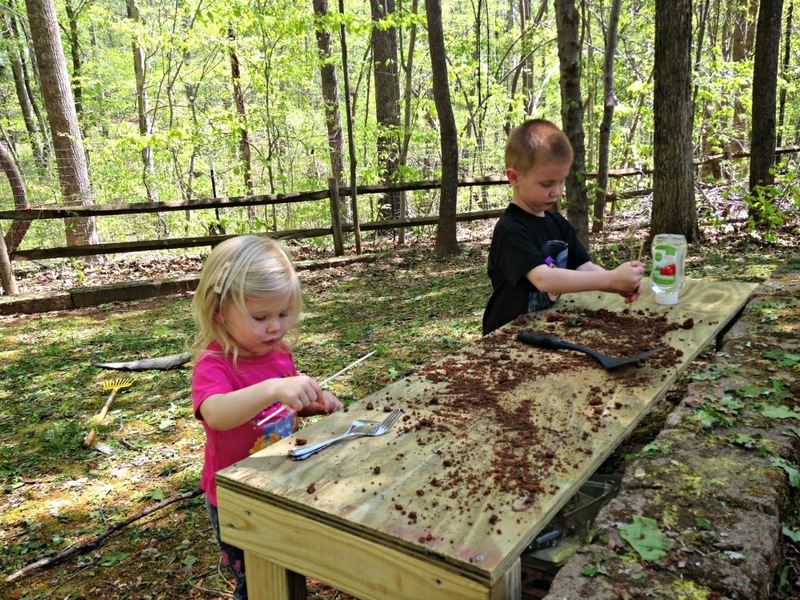 We created a mud kitchen with inspiration from Racheous’s Loose Parts series. 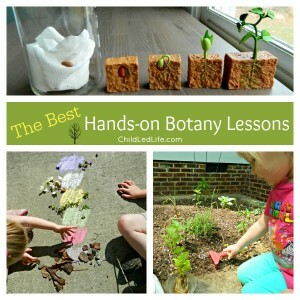 This is a collection of some of the best hands on botany lessons I can suggest. 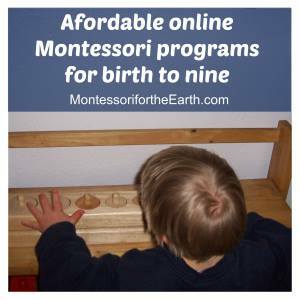 It’s a part of the 12 Months of Montessori Learning series. Check back each month for great themed posts. My husband has a true passion for helping the kids learn outside. 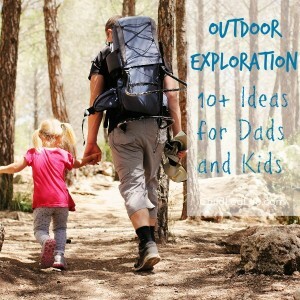 Here are some great ideas on spending time with Dad outside! I hope you love the outdoors as much as we do! I love this post. Your yard area is beautiful. What a wonderful place for the children to play. Thanks for the quotes included here. “The things he sees are not just remembered; they form a part of his soul.” ~ Maria Montessori This one spoke to me today. I know we are going to have a different day than was originally planned now. Thank you Sheila! We love our yard. A LOT! I hope your day was a little more interesting after making a new plan. Glad to see I can inspire. I love the mud kitchen, that looks like years of fun right there. It is always so much fun watching a child really explore the world around them, they experience it all in so many ways. I always felt like both my boys were teaching me about the world around us, rather than the other way around. I agree! Watching them is just amazing. I am always learning so much and feel like it is reliving childhood watching them! Getting dirty is the sign of a good day! I couldn’t agree more! Thank you for stopping by. I love a good rope swing!! And love all those pictures of dirty feet. That’s what being a kid is all about!! Sounds like an awesome life! 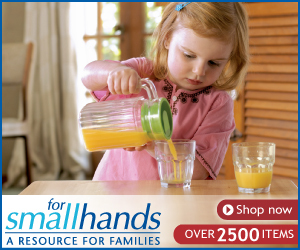 No doubt you can make that for the little one. 🙂 Thank you for sharing. 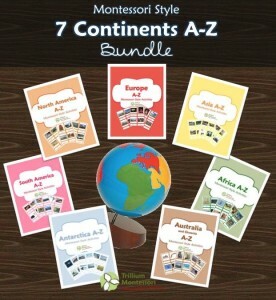 Great list of resources. thank you for sharing! Your kids have a great life! Thanks for stopping by Carrie! We love the life we have. 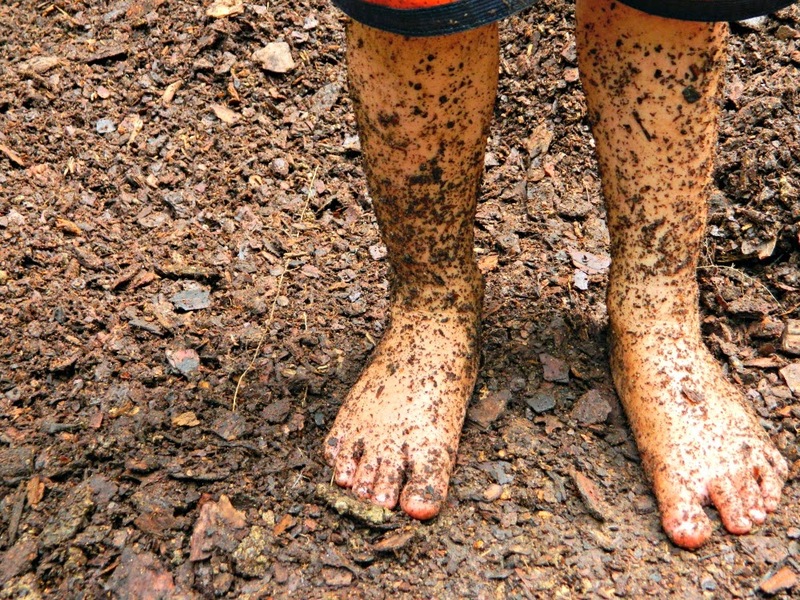 Looks like awesome fun – and I love letting my kids run around outside barefoot – it’s good for your spirit I think! I agree! The connection with the Earth is something I don’t understand, but know it is there. I love how happy it makes them. Being out doors is wonderful! Some of my best memories as a kid are outside exploring! Your childhood must have been wonderful. One of my childhood memories is of a nap I took in the tree in our backyard. Such a wonderful happy time. 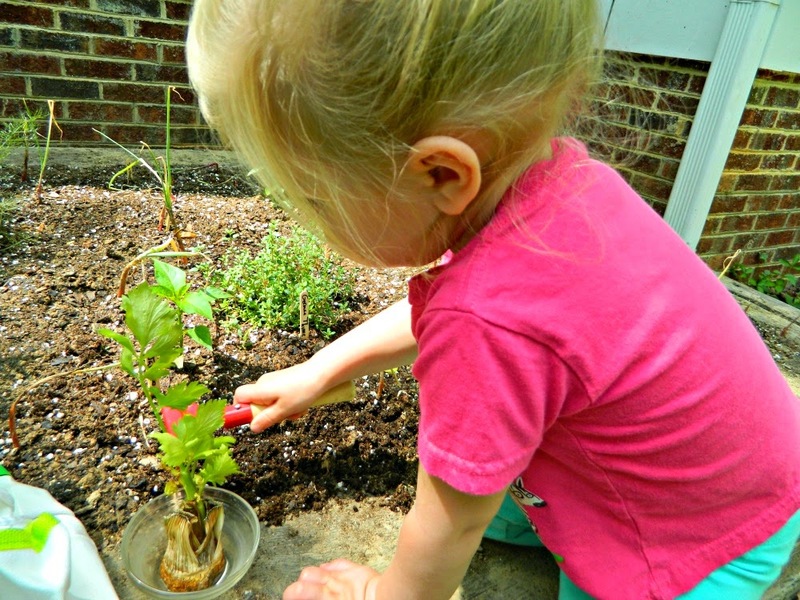 I hope you get some ideas for your littles to get them outside! I loved reading this post as I think it’s really important for kids to enjoy the outdoors and get used to their surroundings. I’m hoping that our 16 month old will really get into this sort of thing! Thank you, Jonathan! We love being outside. 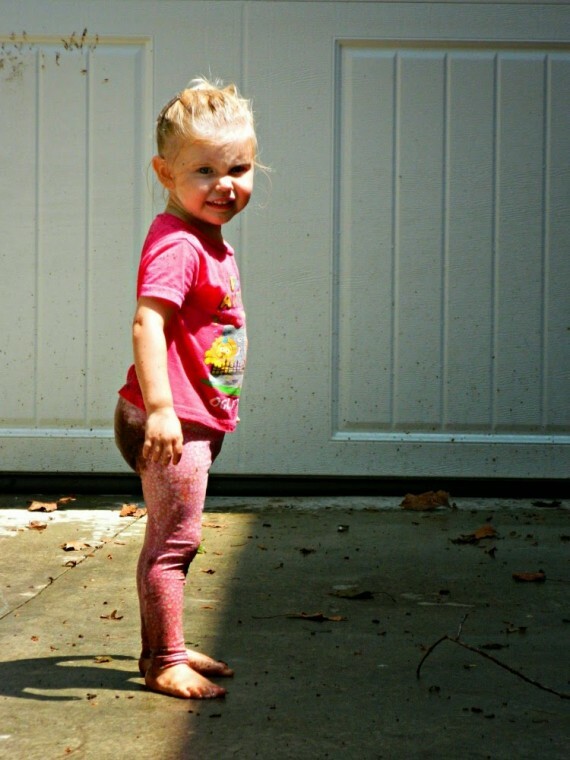 Even before our kids would walk, they were crawling around outside exploring in their own way. I’m sure if you enjoy being outside your little one will too! Thank you for stopping by and commenting. What wonderful places to explore! We live in the city so I love all your space! I agree, that really is one of the great things Maria Montessori gave us: letting the kids be free to explore. Thank you! Being outdoors is such an exciting time for us as a family. Just today my son and I took a quick tromp through our creek for no apparent reason. So wonderful to have a great connection to nature. 🙂 Thank you for stopping by, Leila! 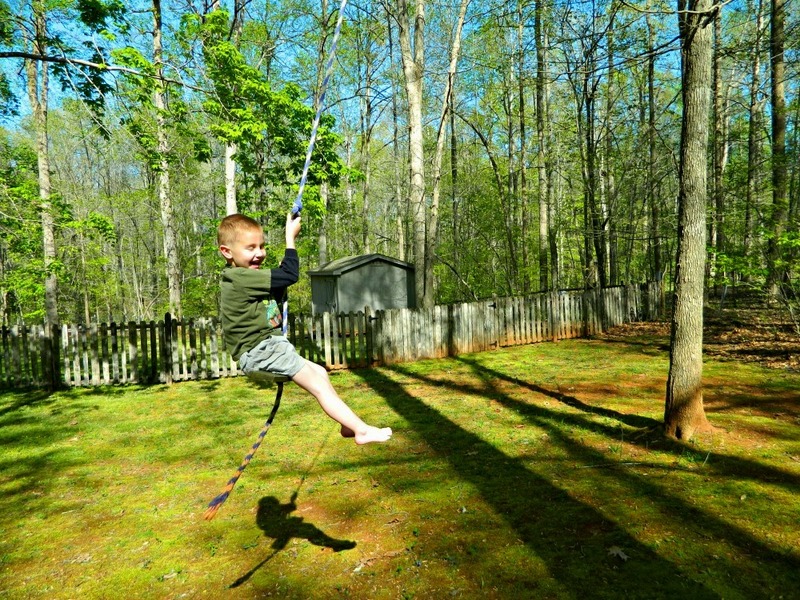 All of the photos in this post are gorgeous and I want to be right there with your kids outside! Thank you! It’s a lot of fun to know they enjoy the outdoors so much. Thank you! Our children are enjoying so much of their childhood outside. They rarely ask for screen time and then only use it for education. We have plans to move to a smaller home so we can spend more money on enjoying adventures and travel. It’s great to have you here, Dana! Thanks so much for linking to us! 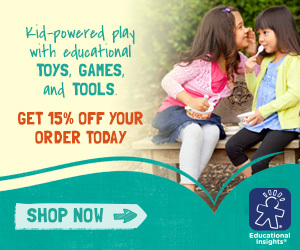 We love all outdoor play! 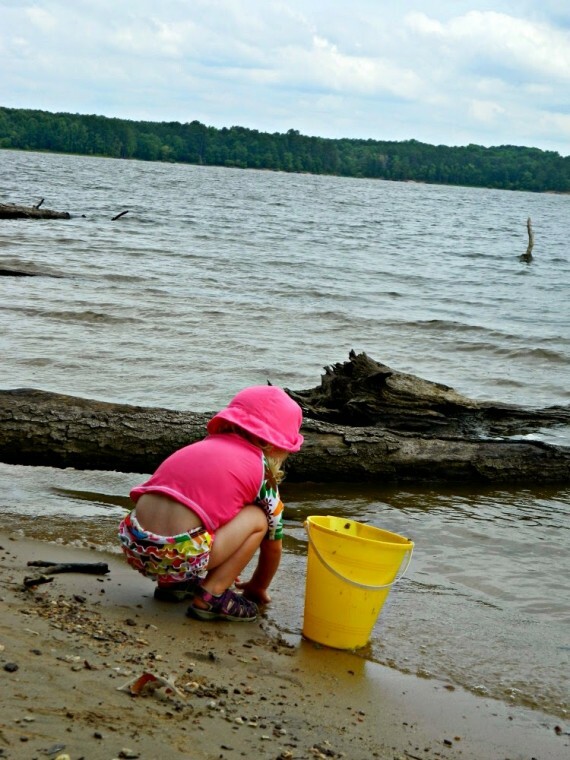 Natural learning is my favorite and I am featuring this fun post on Natural Beach Living this week. Thanks for linking up.